This Christmas Tree Slat Sign Tutorial was previously shared on The Wood Connection Blog. 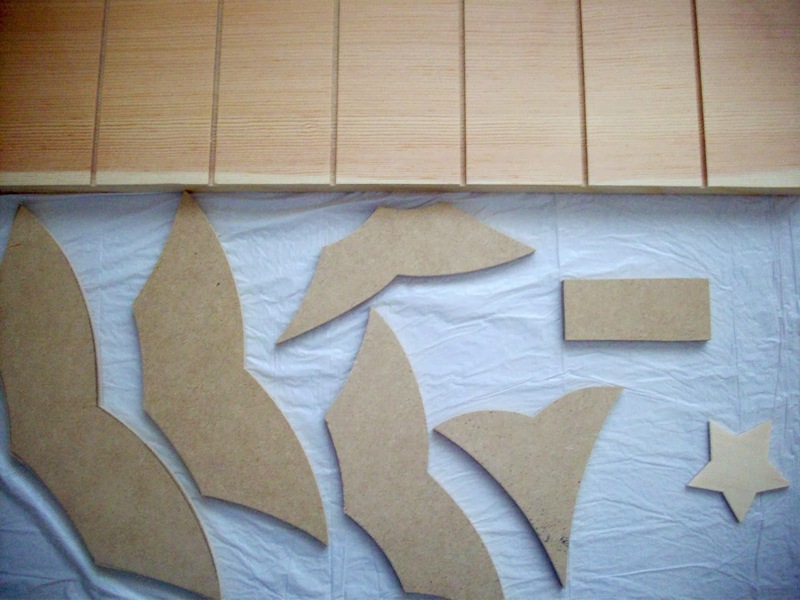 The supplies to make this project were provided to me buy The Wood Connection. 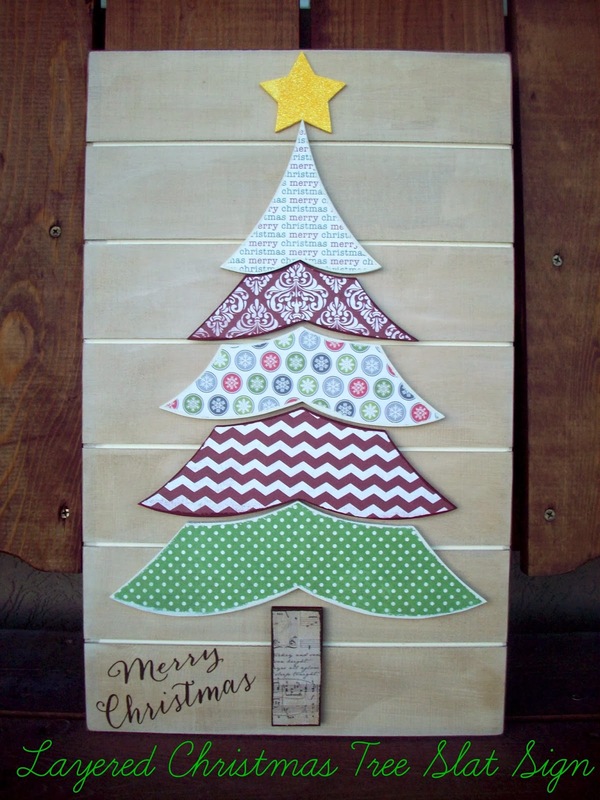 I just love decorating for Christmas and this Christmas Tree Slat Sign was so fun and easy to make. You can purchase the supplies in their stores or if you are not local you can purchase the Slat Sign and Layered Christmas Tree online. 2. Paint your wood pieces. 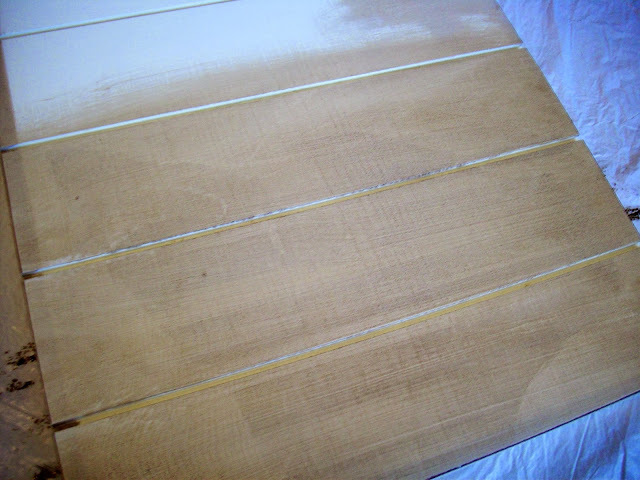 I painted the entire slat board in Light Ivory. The star is painted yellow. On the tree pieces I only painted the edges because I was going to add paper to these pieces. 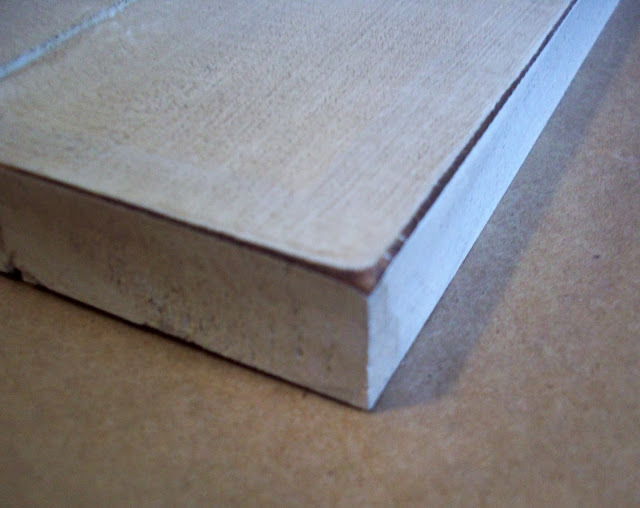 The first, third and fifth piece have the edges painted in Light Ivory. 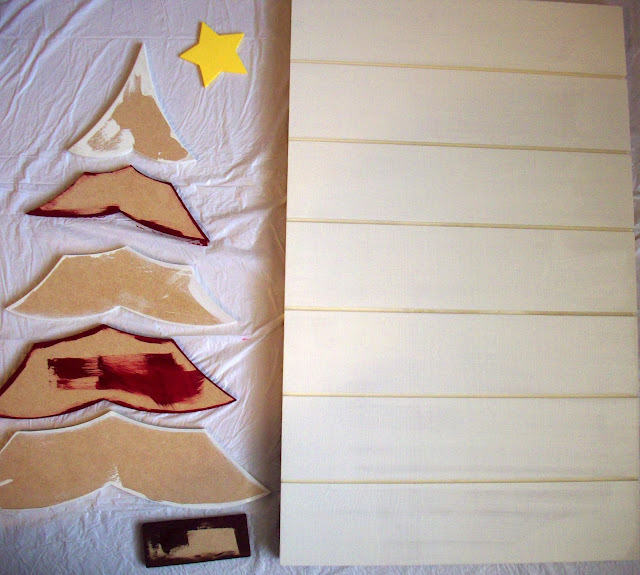 The second and fourth piece is painted in Black Cherry, the trunk is painted in Burnt Umber. 4. Now we are going to stain the board. 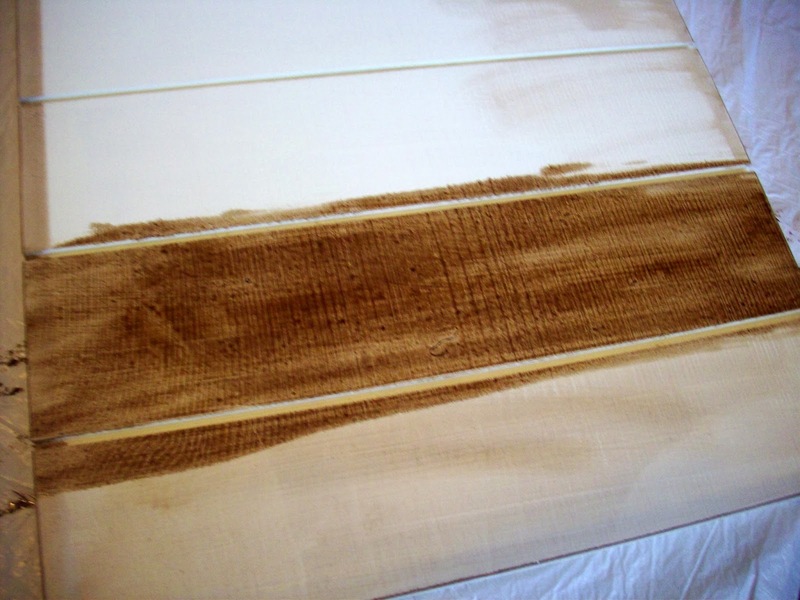 I think staining sometimes scares people a bit but it is quite easy. 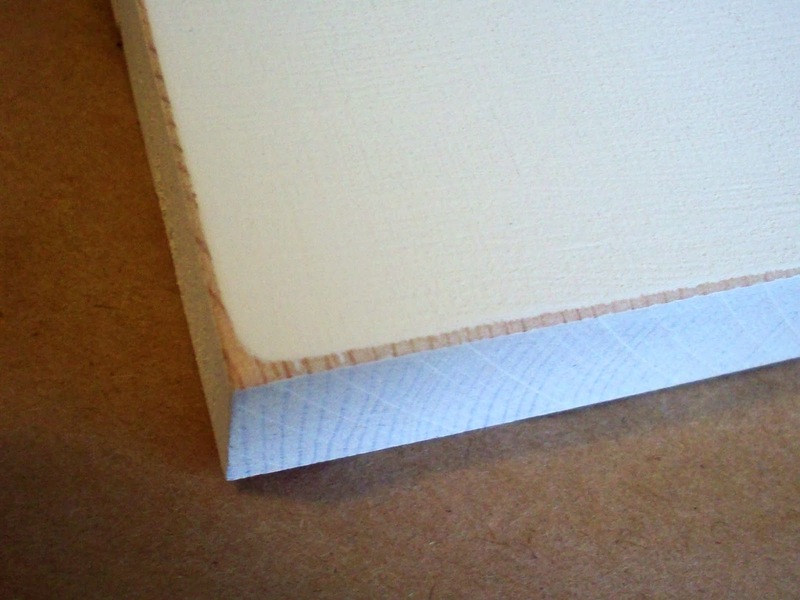 Using your foam brush (or a paper towel) wipe some stain onto your board. Then using a paper towel wipe the stain off the board and wipe it around to make it look even. 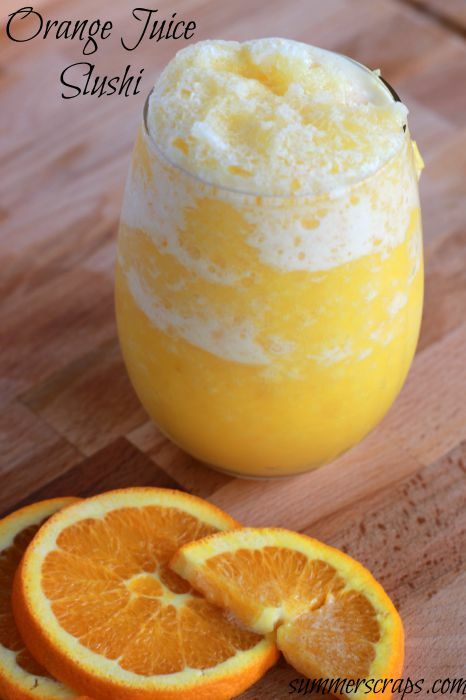 If you feel it is too much you can use a wet paper towel to tone it down a bit if needed. 5. 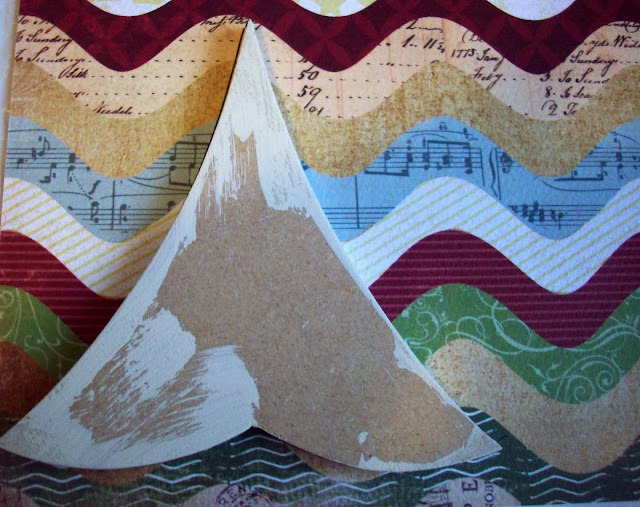 Trace your scrapbook paper using your wood as a guide. 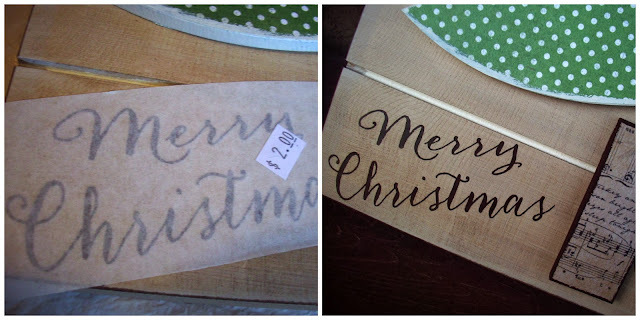 Cut out the paper (cutting inside the lines) and glue it onto your wood. If you are still not sure how to do this, check out this great scrapbook paper to wood tutorial. 6. 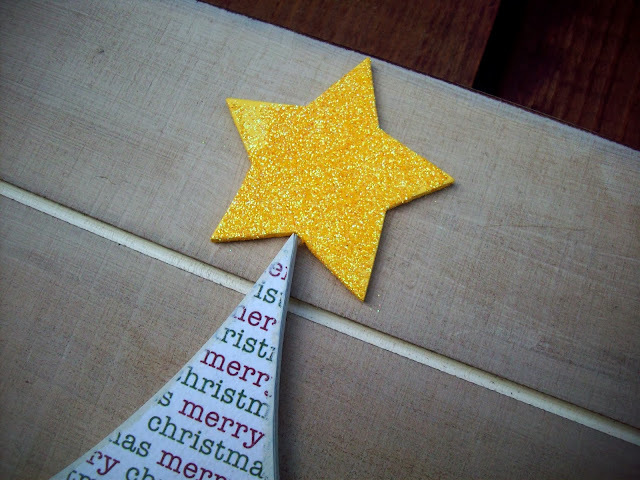 Now it is time to add the yellow glitter to the star. Put your glitter in a container, repaint your star so the paint is wet, press into the glitter, let dry. For a more extensive tutorial check out this great glitter tutorial. Have you started thinking about your Christmas decorations yet? I am getting everything prepped and ready to put up after Thanksgiving! This is such a great idea! 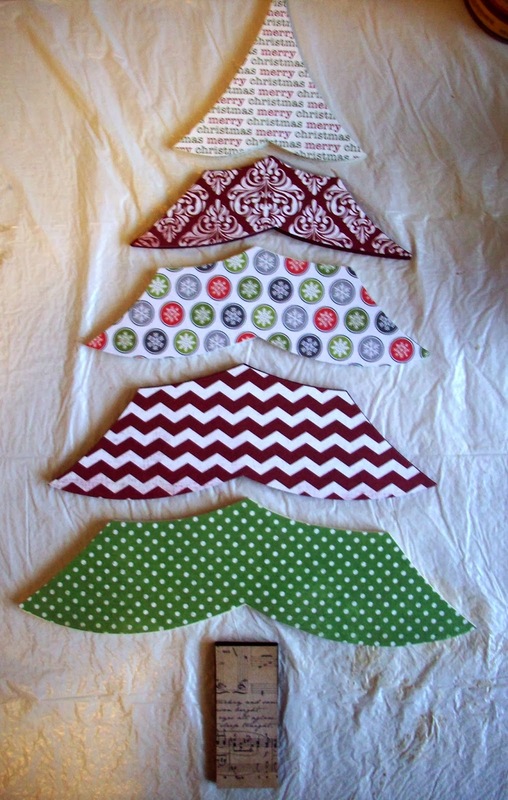 I’m feeling crafty and I think I’m going to try this! Thanks for the tutorial! Thanks Lauren – glad you like it! 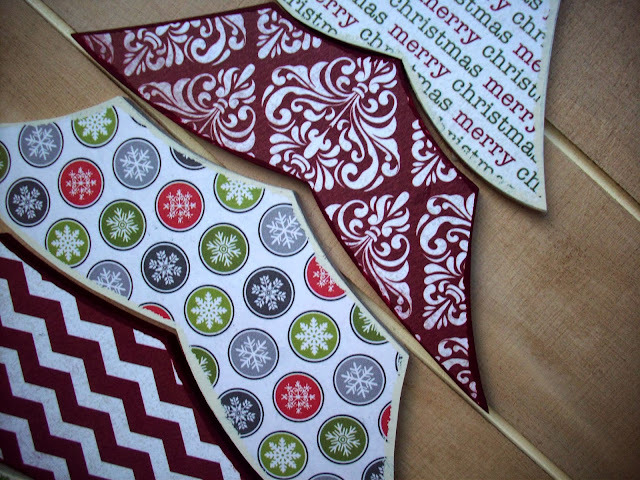 This is such a fun craft, I think you will like it. This is SO adorable!! I’m just now starting to feel the Christmas decorating bug. I need to let my husband know how much I need this! Thanks Jesseca! I know I have been holding out putting my Christmas stuff up but once Thanksgiving is over it will be a mad rush to get it all up. You’re a lifesaver. Wanna know something embarrassing? I have TONS of wood crafts PILING up on my craft desk. WHY? Because I didn’t remember how to do the glue/paper/etc and I was too prideful to ask someone for help. Bless my heart. Again- you save the day. Thanks for the refresher course! Kaylynn you crack me up! Glad I could help! Thanks Jessica – I appreciate it! I love those slat signs….may need to go stock up on a couple! I know Vanessa – now that I have done one I want to do so many more! This is gorgeous. I love the patterns you chose for the tree. Thanks for sharing this at the Pinworthy Projects Party! 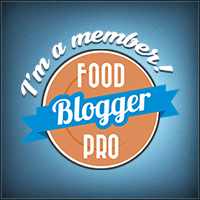 I pinned it to our feature board and will be sharing on Facebook too. Thanks so much Shannah! I am so excited that you pinned this on your feature board and will be sharing it on Facebook – I will have to go check it out. Thanks! I absolutely love this. I love the style and the paper you chose. 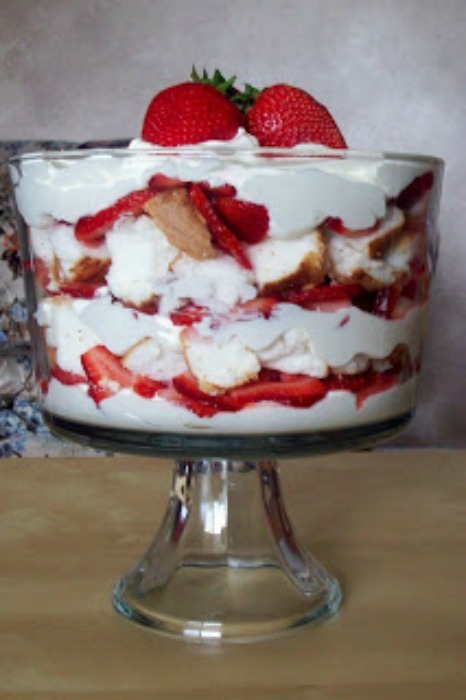 I want to make one of these now. Great step by step instructions too. 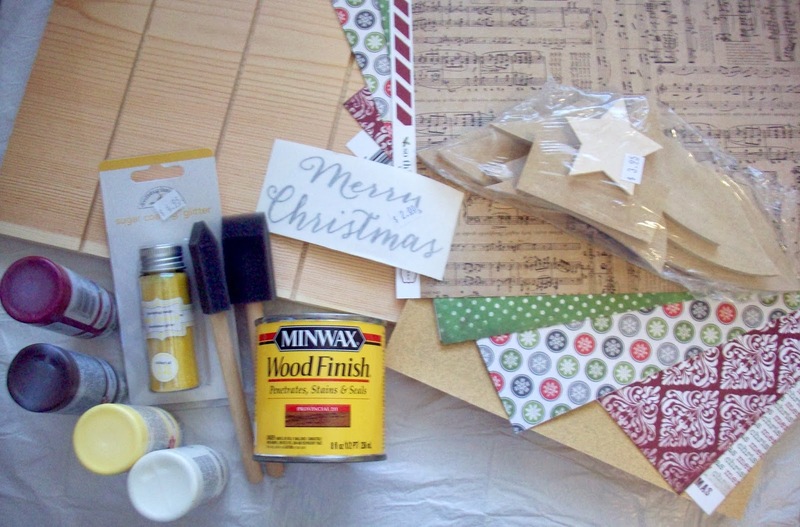 Such a cute and festive project! I love it! Thanks for sharing. PINNED!